I am trying to setup my first relay module with live environment. I have attached the relay module image below. Spotlights 3 lights in series and some LED strips connected to it (Sometimes works sometimes don't.). I have cut one wire which is connected to main normal mechanical switch WHICH IS NOT A HOT WIRE its just the another wire connected to the button. But I am not sure why its not working? Do I need to connect neutral to the another end of the relay. As I have only 2 wires connected to the relay for each of the switches. 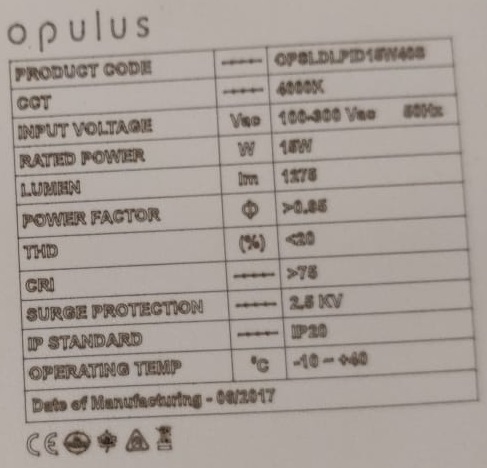 Here is a screenshot of specifications 15watt LED panel which is connected to my house, if this can help to understand better. If I connect Neutral on the first pin of relay and when I close the relay switch, do the current will go into the neutral wire as well? If I keep my 3w spotlights ON or more then 3-4 hours and try to close the relay on connected to it. The relay LED light for that connected relay goes OFF but the light don't. Seems like the mechanical relay is not getting enough power to move the mechanical relay off. I want to know why this is happening? And how can I solve this issue? Attaching a neutral (earth) wire will help to reduce this? But if connect neutral to first (off side of relay) pin, then will get the current? Any suggestions will be helpful. Also I added 3.3v from NodeMCU to VCC (instead of jumper) pin. But that is also not helpful. You need to connect Vin from NodeMCU (Raw 5V from USB) to Vcc on the relay board. 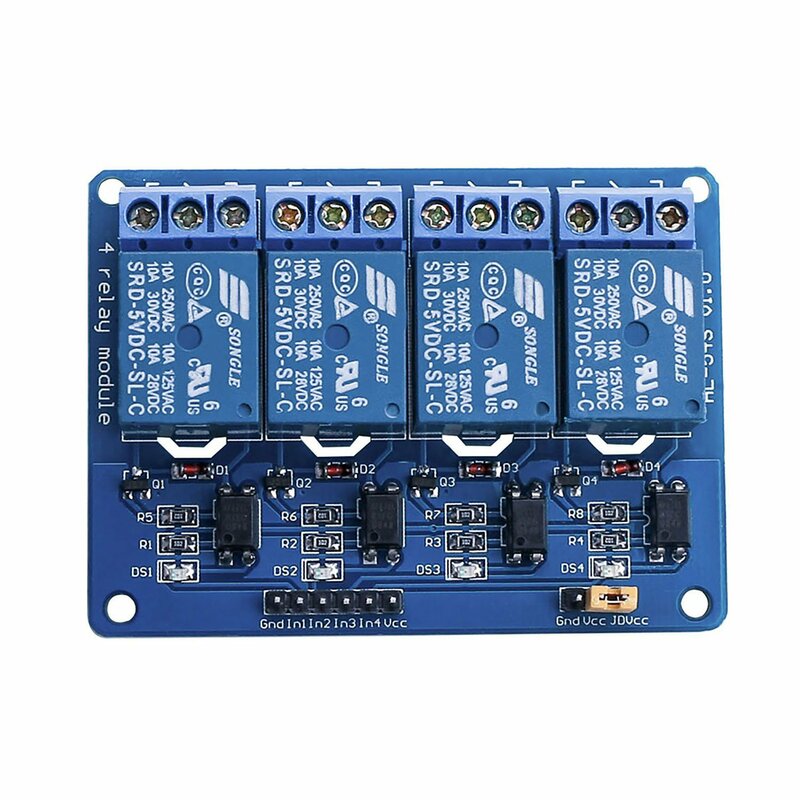 And as stated in the comments, the relay need 5V for operating reliable. In has the same problem, two LEDs and a resistor. To enhance it would be to replace the indicator LED (DS1-4) with a wire. 2 x LEDS á ~1.8V and a resistor á ~1.4V = 5 Volt. 1 x LED á ~1.8V and a resistor á ~1.4V = 3.2 Volt. Not the answer you're looking for? Browse other questions tagged esp8266 nodemcu relay or ask your own question. NodeMCU - Vin pin as 5V output?